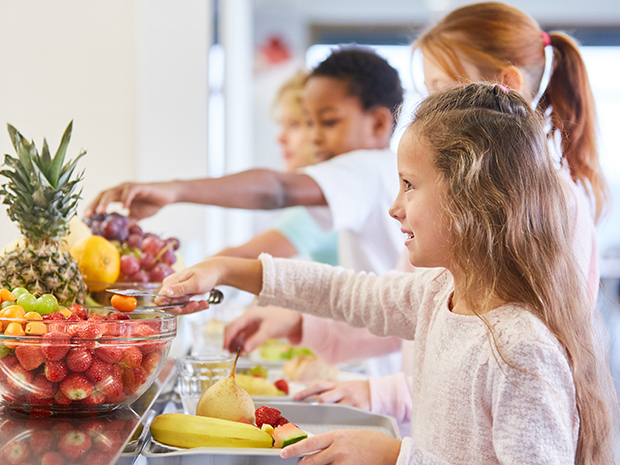 Two elementary schools in West Orange Public Schools in West Orange, N.J., will be implementing breakfast after the bell, Tapinto reports. The program was initiated due to a recent law that requires schools to provide breakfast after the bell if 70% or more of the student population is eligible for free or reduced-priced lunches. Students will receive items such as fresh fruit cups, milk, cereal and graham crackers. Cafeteria staff will deliver the meals to classrooms in insulated bags at the start of the school day and will return to pick up any leftover meals along with a checklist showing which students didn’t participate. The district’s foodservice director believes it will take around two weeks for staff to figure out how many meals are needed. A separate breakfast will also be served before class, and students are encouraged to participate in one or both of the meals. School officials say they will contact the parents of students who eat twice just to make them aware, and that no child will be turned away from a meal. The district expects to receive $8,338 in federal reimbursements for the program, and officials hope to expand it to other district schools in the future. Read the full story via tapinto.net.